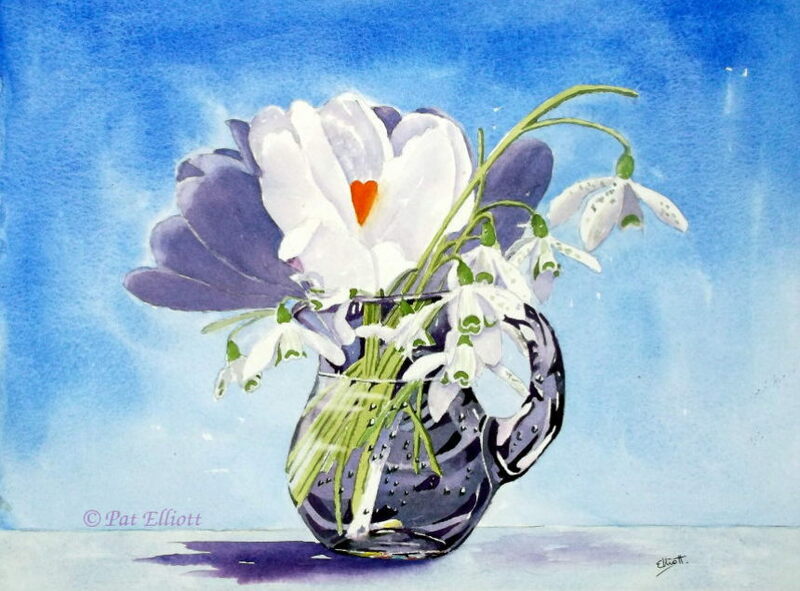 Crocus and snowdrops, two beautiful flowers which herald the upcoming spring. These, picked from a garden and put into a glass jug. 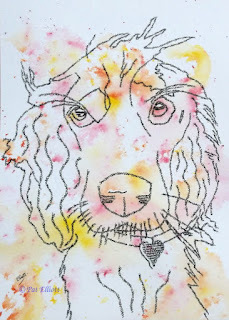 Today's paintings were created as a present for a young lady, Shannon. She owns a spaniel called Sam. 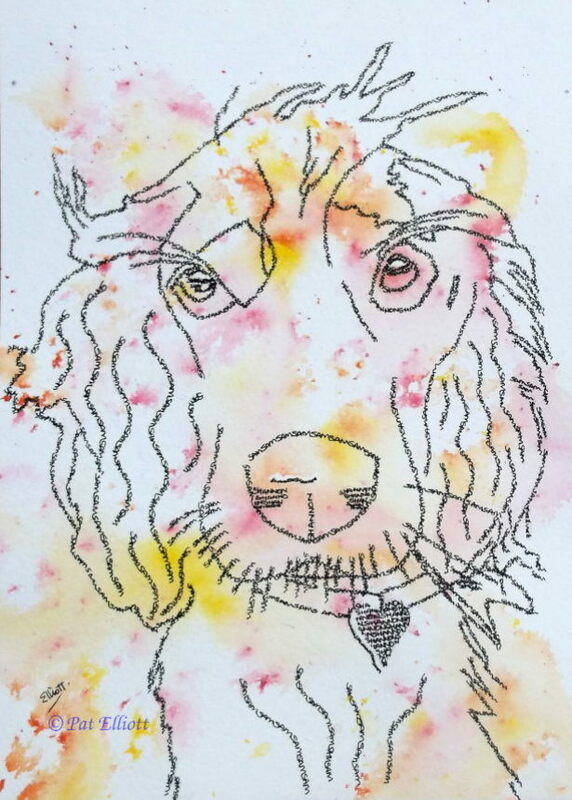 The first painting is something a little different, in that the outline of Sam the dog is made up of his name, but the nose, eyes and heart are made up of Shannon's! Painted in watercolour and ink. 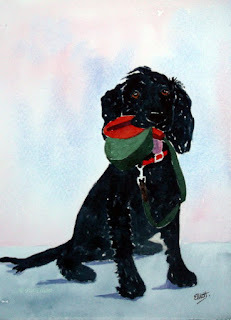 The second is Sam painted in a more traditional painting, created in watercolour.